The Vigadó was inaugurated in 1864 and quickly turned into the city’s most prestigious venue for balls and social events. In 1867, Emperor Franz Joseph attended the banquet hosted by the Vigadó in honour of his coronation, and it was also the place where Budapest was born by the merger of the old cities of Pest, Buda and Óbuda (old Buda). 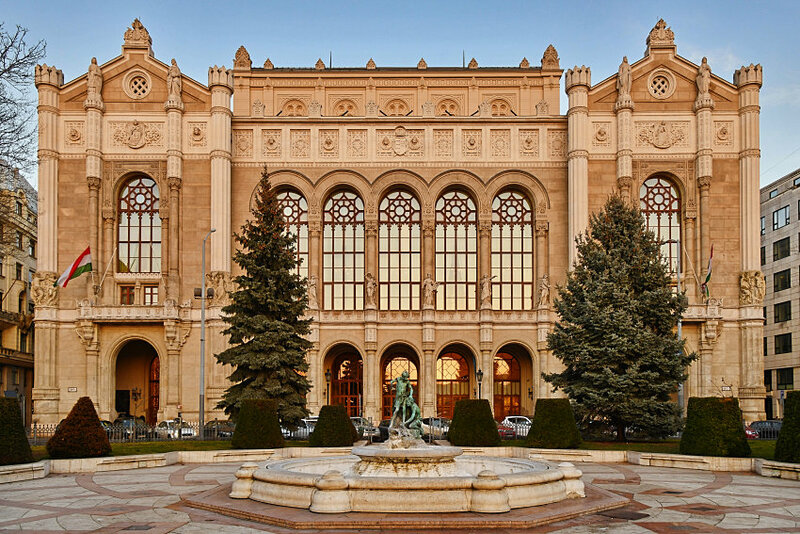 During this period Vigadó developed a rich concert life, hosting performances of numerous world famous musicians including Ferenc Liszt, Johann Strauß Jr, Debussy, Sviatloslav Richter, etc. The building has been recently restored to its full former grandeur under the motto “Art in the Centre”. Guests will be treated to special performances by the Folk Dance Ensemble of the hosting statistical office during the welcome reception. The price of the Welcome reception is included in the registration fee. Budapest night views are beautiful as the city glows at night. 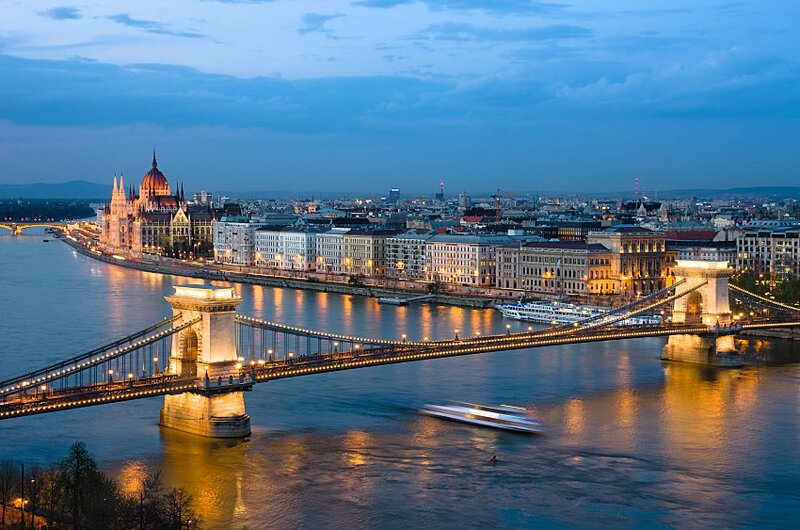 During the dinner cruise, you will see the fairytale riverfront of Budapest and all its wonders: the two banks of the river Danube spotted with brightly lit churches, the Buda Castle on the Castle Hill, the neo-Gothic turrets of the Hungarian Parliament, the palm leaved Statue of Liberty on the Gellért Hill, the cupolas of the Art Nouveau Gellért Baths, the elegant curves of the Gresham Palace (Fours Seasons Hotel) and the soaring domes of the majestic St Stephens Basilica behind them. You will be cruising in one of the UNESCO World Heritage sites with us, and one of the twinkling treasure boxes of the river Danube. The price of the Gala Dinner is included in the registration fee. The English guided tour of approximately 50 minutes takes you through the most beautiful rooms in the building. During your Parliament visit first you will climb up the decorative, gold-plated Staircase XVII to the most spectacular floor of the building, the main floor. 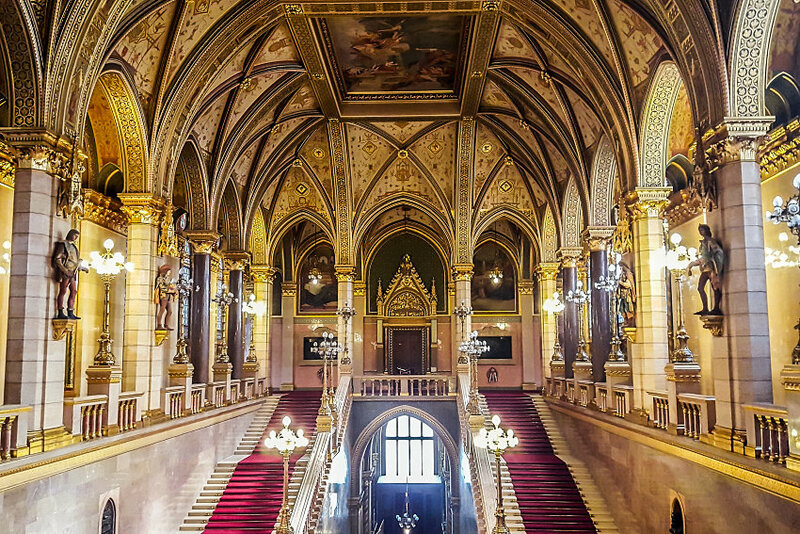 You may also see the Hungarian Coronation Jewels in the Dome Hall, the Old Upper House Hall of the bicameral Hungarian Parliament, as well as the Lounge. 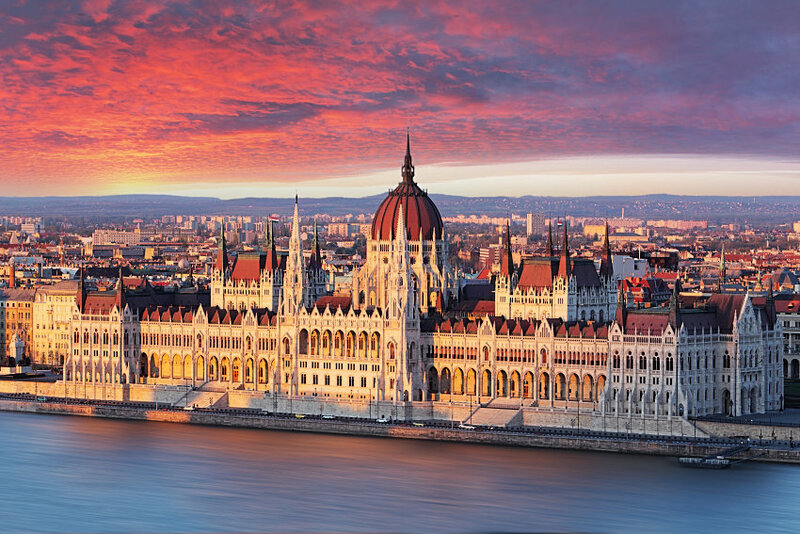 The tour will include information about the present operational rules and procedures of the Hungarian Parliament. For the guided tour on Wednesday participants will be divided in three smaller groups. These will leave from the conference venue at 3.50pm, 4.05pm and 4.20pm. You will have the possibility to sign up for the time slot fitting you most at the registration. After the tour you will have time to return to your hotel if staying in the neighbourhood and we are looking forward to meeting you at the welcome reception in Vigadó. Guidance will be given at the registration desk during the day. The price of the Parliament guided tour is included in the registration fee.